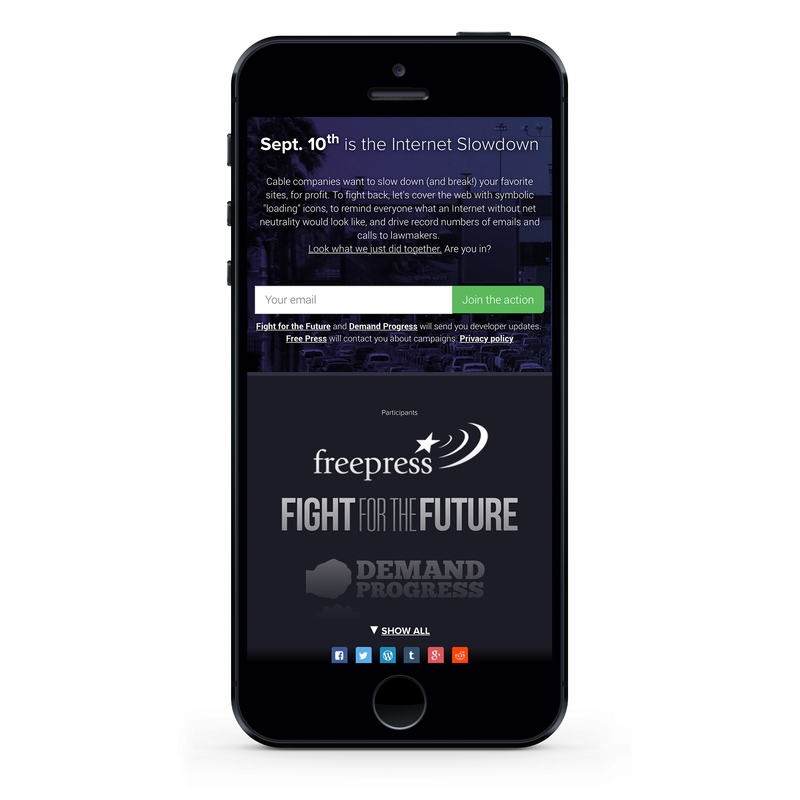 Fight for the Future is a non-profit company that works to promote internet freedom and creativity. 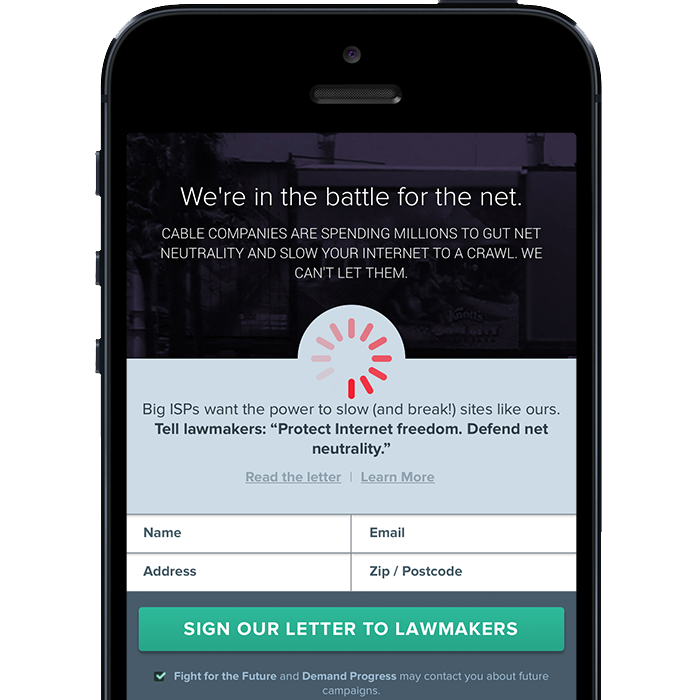 They make historical changes using technology-focused campaigns, such as Battle for the Net. 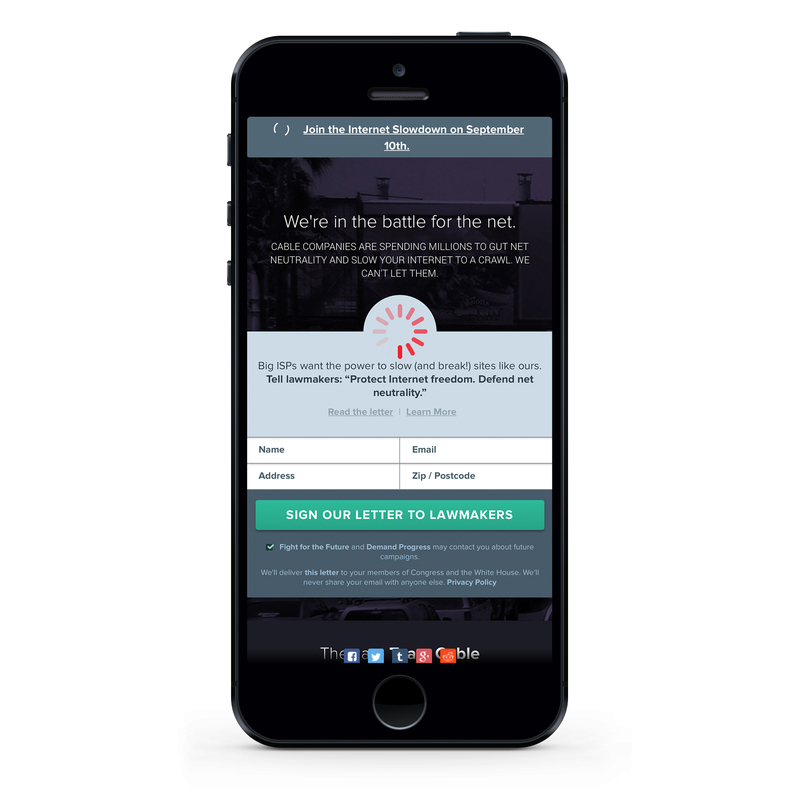 Their core values include internet affordability, freedom of expression and elimination of censorship with full privacy. 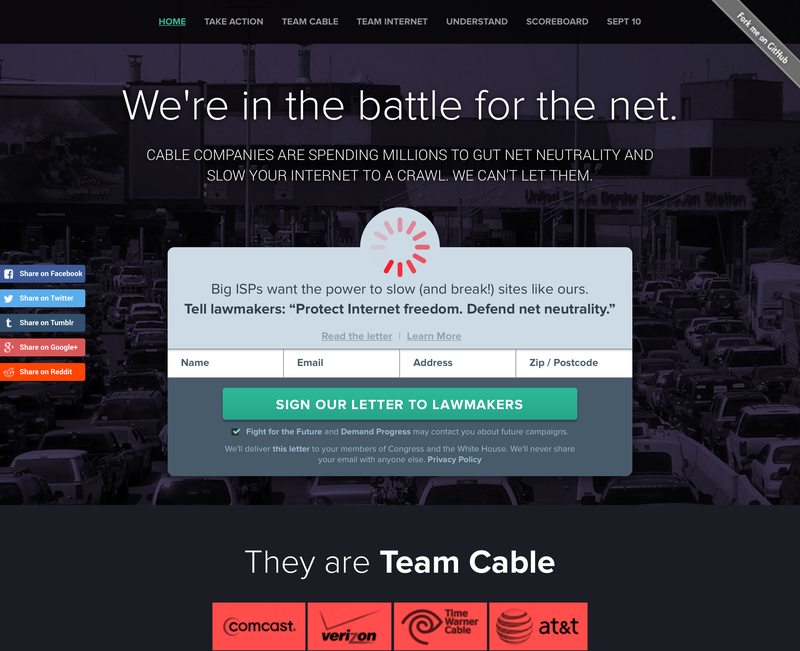 The project consisted of building new websites and landing pages to advocate for net neutrality and promote communication with state representatives and the Federal Communications Committee (FCC). 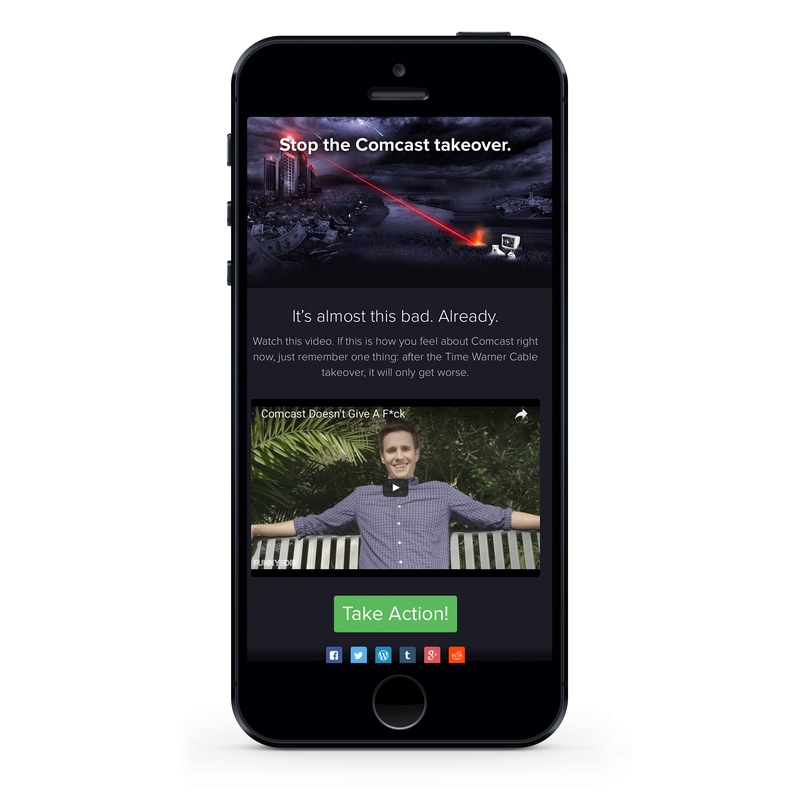 These pages had to be designed to be easily shared through new and social media. 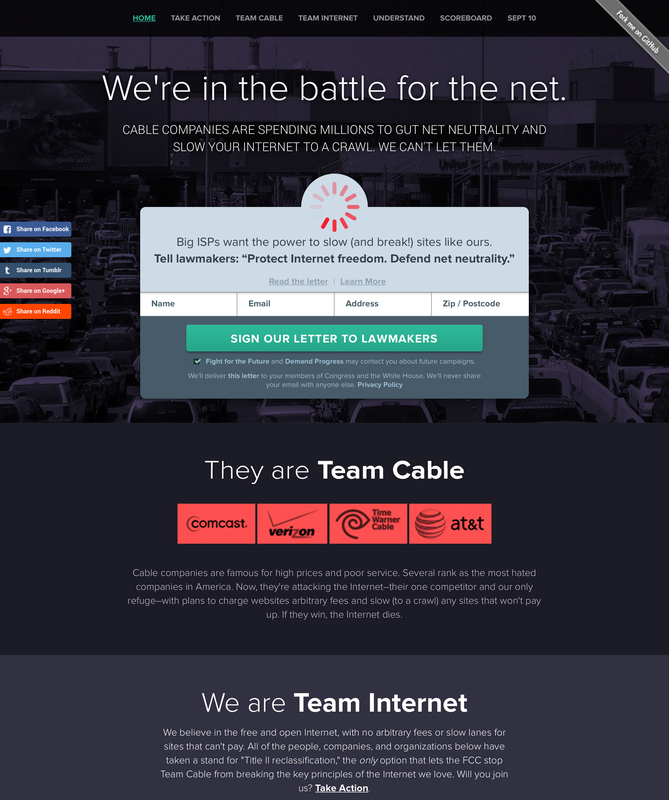 The Battle for the Net project reached millions of people through landing pages, social media, and partner sites to take action against the FCC and America’s largest cable companies from restricting and slowing down parts of the internet.